Ok, so I'm totally last minute on this one but I've decided to try out for the Your Next Stamp design team. To try out, they ask that you post two of your best cards to your blog on a post with this title. See how good I am at following directions? I wasn't sure I was going to try out for anymore design teams, but I figure one more shot is worth it. :) Plus, the stamps are just so darn cute, how could I resist? Totally my style which Tiff defines as fun and cute. So, someone please tell me why I spent so much time trying to be clean and simple. Teehee! These are repeat cards but what can I tell you? They are a couple of my favorites. Wish me luck! And if you tried out, good luck to you too! Hugs! Very cute! I really love that first one! Good luck! Love that second card. GOOD LUCK!!! Any team would be lucky to have you! I'm keeping my fingers crossed for you though!!! 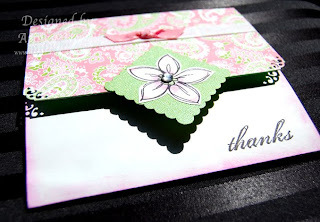 You make such awesome cards! Super cute cards, Ashley. Hope you guys are all feeling better. Good luck on the DT tryout!